Academic writing retreats are an increasingly popular mode of professional development. Such retreats have the virtue of providing collective opportunities for learning more about how to write productively, stylishly and with enjoyment. At the same time they provide protected time during which participants must actually engage in writing in a sustained way. This mix of activities has shown to be a successful way to reorient academics to their writing work. 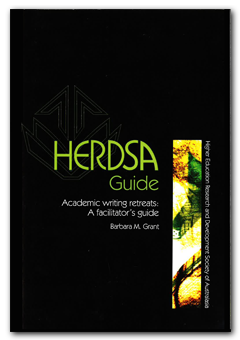 Academic Writing Retreats: A Facilitators Guide pulls together the ideas and practice developed by the author during her ten years experience of running academic writing retreats. The Guide is structured to take the reader through the process of facilitating a retreat from the planning to the follow-up stages. The reader will find many ready-to-use writing activities and group processes that offer a range of benefits to academic writers at every level.